This video shows some of the uses of half-round nose pliers. 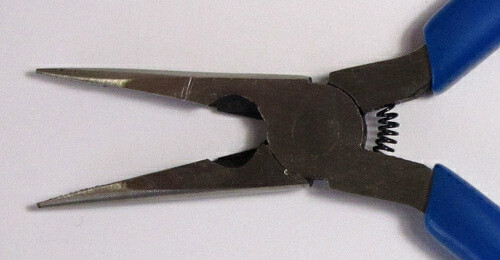 The pliers in the video have a cutting area close to the hinge of the pliers. 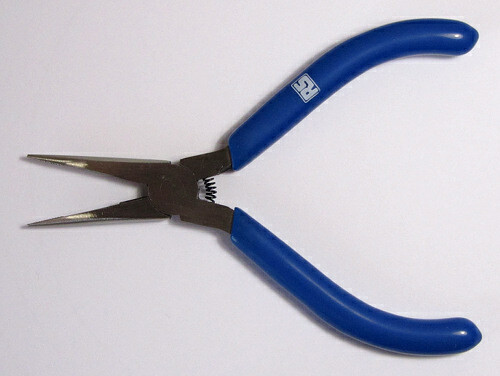 Not all pliers of this type will have a cutting area and a cutting area is not necessary if you have side-cutters. The cutting area is followed by a flat area that can be used to straighten component leads. This is followed by an area at the tip of the pliers that has ridges on it. The ridges allow gripping components or wires and prevents them from slipping if any force is applied – e.g. when inserting a tight fitting component lead into a breadboard.